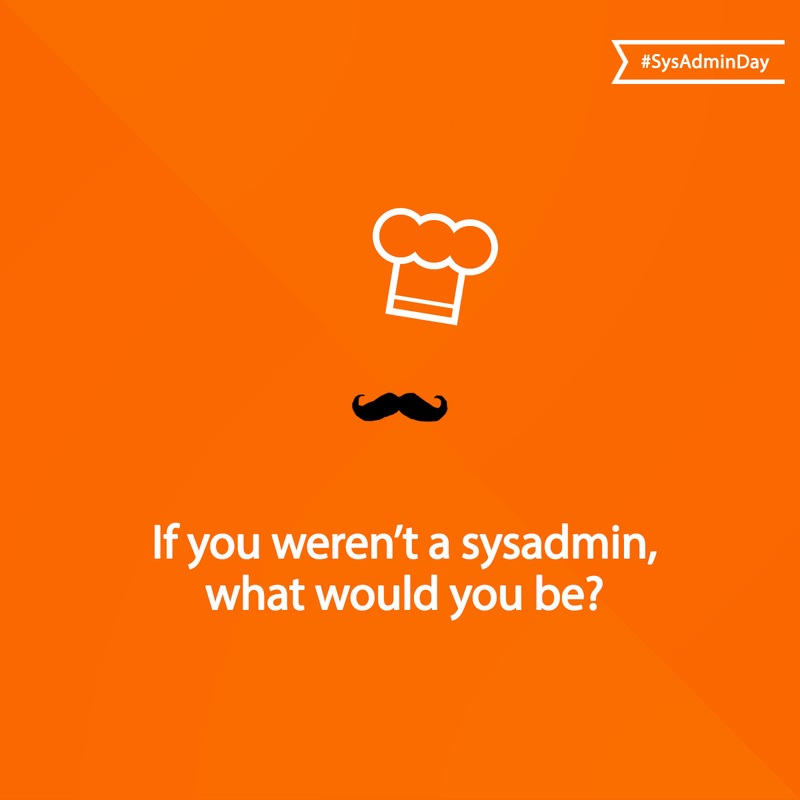 If you weren't a sysadmin, what would you be? 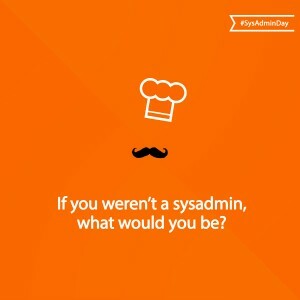 If you weren’t a sysadmin, what would you be? Sysadmins are awesome. There’s no questioning that. If you are a sysadmin, or even another role within IT, by and large, you love your job the same way we all love ours. There’s no other job I would rather have, or any other thing I would rather do, but sometimes, just every once in a while, it is fun to look back on the path that led to where I am today, and wonder what would be different if I had just made one decision differently. As a huge Monty Python fan, whenever asked what I would be doing if I wasn’t in IT, I love to respond that I would be a lumberjack, leaping from tree to tree. Of course, that may be because I do love buttered scones, but that is another story entirely. Instead, let’s look at some of the jobs out there that are not IT, but have some surprising commonalities. This one should be obvious to many of you, as we all spend time teaching others how to do things. 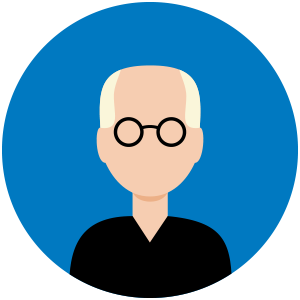 We have to have the patience of a saint, the ability to explain complex technical concepts to non-technical users/managers, and we frequently have to repeat that process multiple times to multiple audiences. Have you ever watched “The Librarian” series in which a professional student goes on to save the world? I don’t want to save the world, but I would love to stay in university forever, learning more and more. Is that really so different from what we do today, considering we have to relearn our job every three years or so as new technologies come out and existing ones evolve? Those of us with higher degrees of user interaction would probably also do very well in the hospitality industry. Whether leading tours, managing high-end hotels or restaurants, or taking care of five-star requests, we have all had to plaster a smile on our faces and cater to someone’s whim at some point in the past. Some of us even liked doing it, so we could easily be a concierge at a luxury resort. If there was one character on TV more of us identified with positively than any other, it was Dr. Gregory House from “House”. Arrogant, brilliant and anti-social to a degree bordering on sociopathy, he nevertheless inspired so many sysadmins who compared themselves or their peers to his character. He likes to fix things, he likes being the smartest one in the room, and he likes never being wrong. Sound familiar? Whenever someone asks me what is wrong with a system, I tend to respond with “It’s not lupus.” No one outside of IT seems to get that. Sysadmins that like to design things would do very well as architects, for whom designs is their bread and butter. Intricate IT systems and buildings have more in common that people outside either role would think, and the ability to share a vision with those who then must build it is a common skill. And those that build what architects design can be systems engineers in IT, or general contractors in construction. Both must be able to take an ephemeral design, and convert it into reality, and thinking on their feet is a key skill for both. Of course, many sysadmins specialize in one boutique skill, mastering their craft. Craftsmen that fashion custom cabinetry, detailed ironwork, beautiful marble counters and floors, or intricate landscapes are at the height of their profession, which is exactly where many sysadmins are. Sysadmins who test in production, patch in the middle of the day, click on things just to see what happens, and reboot boxes without tickets because “they probably won’t notice” would all do very well as professional gamblers. Living on the edge and taking chances define them both, and while failure can be devastating, when the big risks pay off, they pay off well. What sysadmin today did not grow up dreaming of being the real-life Indiana Jones? Which one of us today, in trying to recover lost data from a dead drive, doesn’t wish for a fedora and mumble “fortune and glory kid, fortune and glory” when we do save that user’s data and by extension, their day? Show me a sysadmin who doesn’t like science fiction (or fact) and I will show you someone in the wrong line of work. Any sysadmin would jump at the chance to live a real-life version of a sci-fi show, and the current peak of that would be as an astronaut. Can’t you see yourself patching the computers on the ISS? When I think of an explorer, I do see Indiana Jones hacking his way through the jungle with his machete, but it is not the discovery of ancient civilizations so much as the adventure of going where no one else has gone, seeing things no one else has seen, and figuring out how to do things no one else has figured out yet – the explorer inside every sysadmin. If you have ever clicked on something just to see what happens next, there’s an explorer inside you screaming to get out. Most sysadmins must, at some point, negotiate with or explain to non-IT people why they cannot just do something like turn off passwords, or why you need another six servers to deploy that new application. The ability to give and take, compromise, and convince makes the role of diplomat something that many of us could fill. Now this one should be a no-brainer. While you may not be a computer systems engineer, you could be a mechanical engineer, an electrical engineer, or one of the many other types of engineers who work with technologies, systems and their interactions with other systems, and build solutions to challenges. If you have ever had to deal with a user who lost a key piece of data, or a senior leader who cannot find the ‘any key’, then you have already qualified as a crisis negotiator. Nice to know you have a plan B, yes? And if that key piece of data is gone forever, and you have talked that user down off the ledge, then you have also already gone through trial by fire and proven you have what it takes to serve as a counselor. If you can keep a straight face when a user tells you that they didn’t actually read the message; or when another admin swears he changed nothing even after you show him the logs; or you can really convince your boss that you need two weeks to do something you know you can do in two days, then you have already delivered an Academy Award-worth performance. If you can laugh at it, you can kill it… or something like that. I have never met a sysadmin without a sense of humour, and the best sysadmins seem to have razor-sharp wits and a finely-tuned sense of irony. If you naturally crack jokes during any situation, you may have missed your calling as a stand-up comedian. Not every sysadmin could instead be a writer, but perhaps you could. Do you answer yes/no questions with paragraphs? Are you one of the .01% of all sysadmins who keep their documentation up to date? Do you blog (regularly?) Does your boss ever start an email with “just give me a quick answer?” If you answered “Yes” to at least one of these, then you may have what it takes to be a writer. If you give your servers names; if you talk to them while you are logged on; if you have no problem identifying which systems to upgrade, which to keep as is, and which to decommission, then you are already a manager – you just don’t know it yet. Two sides of the same coin do still share things in common, and some sysadmins could make good salespeople. If you can talk longer than anyone else in a meeting; if you can ignore others and just keep repeating yourself until they all give in; if you have ever talked your boss into going 20% above budget to get that enterprise license instead of the standard one, and if you have hardware on your desk that you didn’t pay for yourself and that, strictly speaking, you don’t really need, then you too could be a salesperson. While I like to joke about being a lumberjack, sometimes what I would really like to be is a forest ranger. Think about it. You get to work in your own little world. You can largely ignore people until they get themselves into trouble, at which time you come to their rescue. Occasionally a pair of bears might share their pick-a-nick basket with you. You can wear a really cool hat. And you get to set your own hours. What’s not to love about that? We’re certainly not encouraging sysadmins to change jobs, but it can be quite entertaining if you think about careers opportunities outside IT and which one would suit you most. It could be a great team-building exercise too… you never know what your fellow admins will come up with. What other jobs do you think admins could easily adapt to?